We planted sunflowers again this summer. I harvested the seeds from last year’s splendor. in their various stages of growth and loveliness plastered all over this blog. The sunny patch lines the divide of our neighbors fence. past the top of the fence and takes residence “in” both yards. However, something has been different this year. The soil was prepared and the seeds scattered. Weeks of carefully watering ensued and the first seedlings emerged. The painful process of thinning the growth arrived. Pale green stems grew tall and leaves expanded in width. Hazel’s face submerged in leaves and having a little snack. Another morning I found an empty stalk which no longer bore the first huge flower head. sunflower head with its paw, looking for an early dinner I supposed. A second culprit foiled at least for that moment. Now the sunflowers are decidedly in bloom. they do not look the same as last summer. 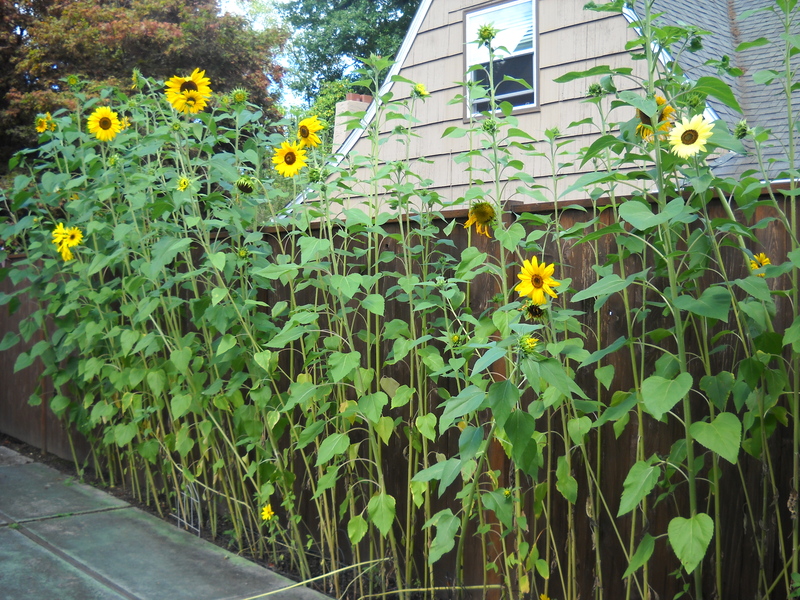 I am not sure if it because last year was the first time in a very long since I had grown sunflowers. added to the joy of success. a huge plant with flowers denoting sunshine. petals either drop or shrivel. It is not the same patch as last year. results in a different season. The soil or location may be the same. The seed originating from the same source. This season is new and will bring with it, its own results and trials. A different season may yield different results. I wonder if the flowers are the same but I am different. I see them with different eyes. They are not the eyes of delight which spied them a summer ago. I may have lost a bit of wonder. a new season which do not belong. the result to be exactly like it was a year ago…a decade ago? Don’t be fooled by a season which looks familiar yet yields different results. Don’t fall in love with a previous season to the extent you lose the wonder of what God desires to grows in your current season. Oh thank you do much Cher! Glad you are enjoying the series and helping a dear friend. Glad to add some trivia to your life. It could just be Hazel who we should have named Begonia. This day 2 of a wonderful series. I am going to forward today to Karen. We are in Spokane waiting for Karen to have a treatment. I love the series. I am now thoroughly convicted.and deep in thought. 🙂 Lovely post!